4 Bedroom Detached House For Sale in Great Yarmouth for Asking Price £350,000. OPEN HOUSE THIS SATURDAY 27 APRIL BETWEEN 10.30 AM AND 11.30 AM. 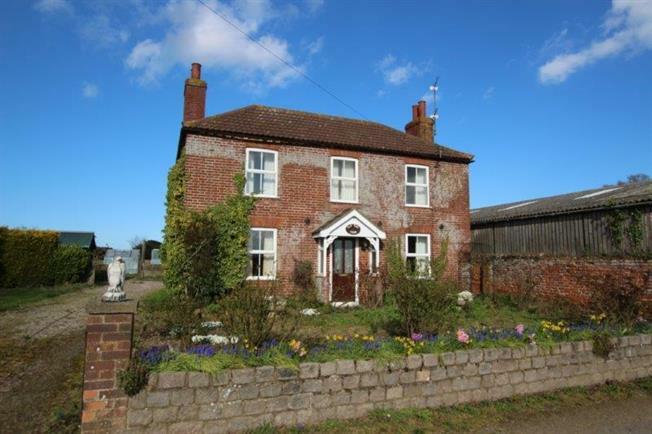 PLEASE CALL FOR FURTHER DETAILS ON (01603) 783838 This charming red brick cottage is believed to date from the early 1800 and now would benefit from renovation. The property comprises; hall, drawing room, living room, kitchen, a lean to, landing 4 bedrooms and bathroom. Outside there is a useful 20ft x 23ft garage/workshop.